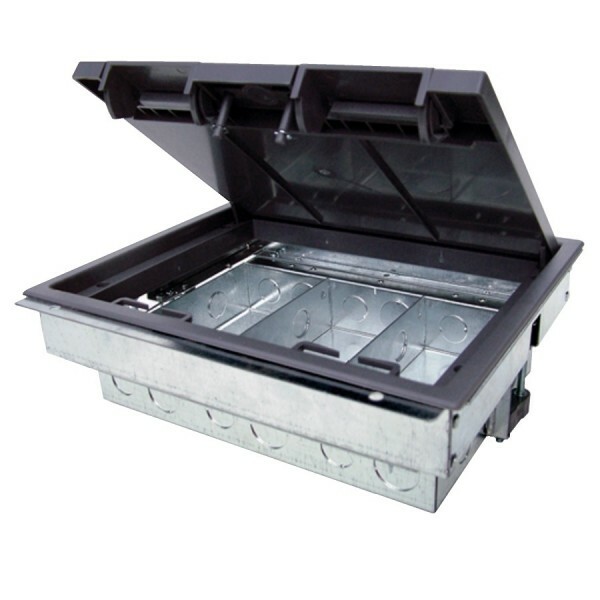 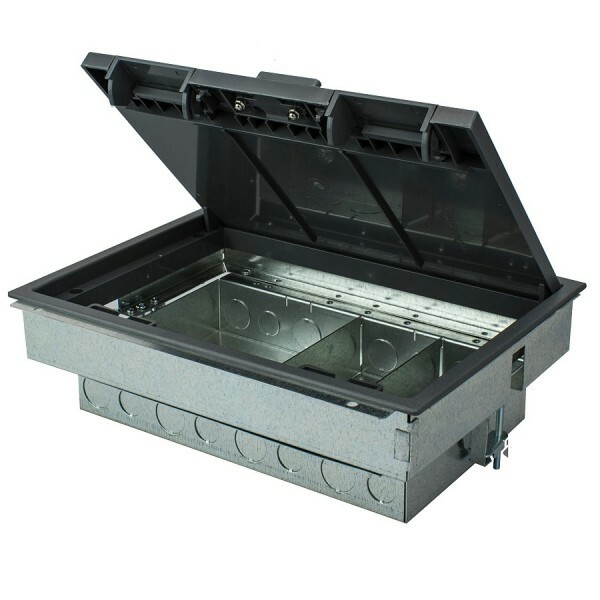 Search our range of 3 and 4 compartment floor boxes, all manufactured from galvanised steel. 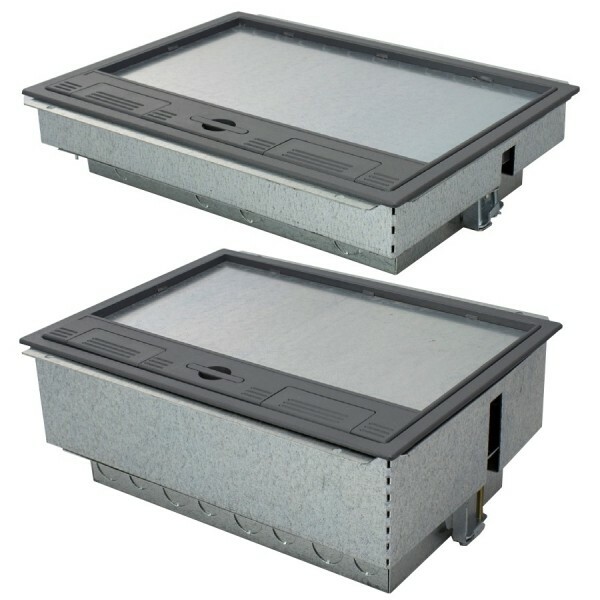 The frames and lids are moulded from high impact polycarbonate with Galvanised lid insert for strength and easy grip recessed lifting handle. 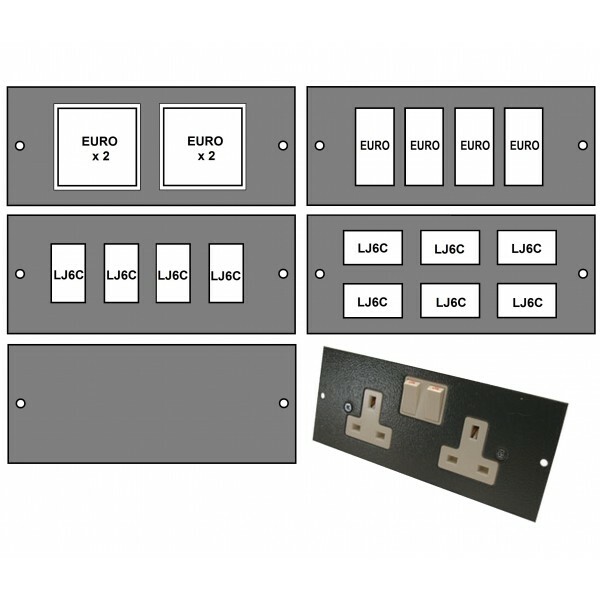 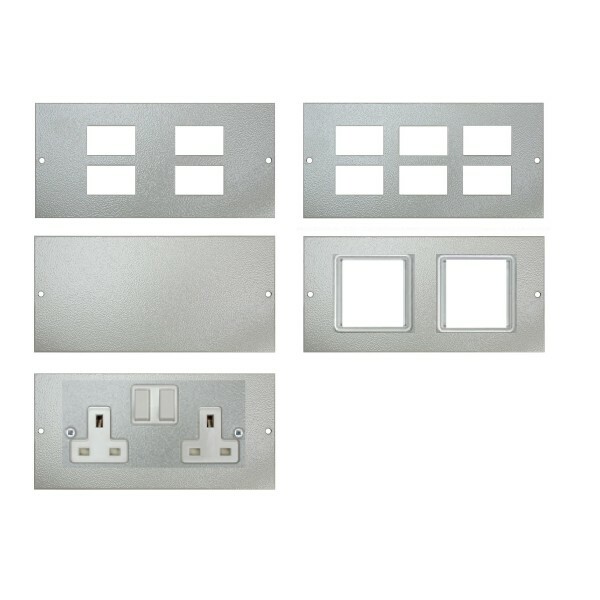 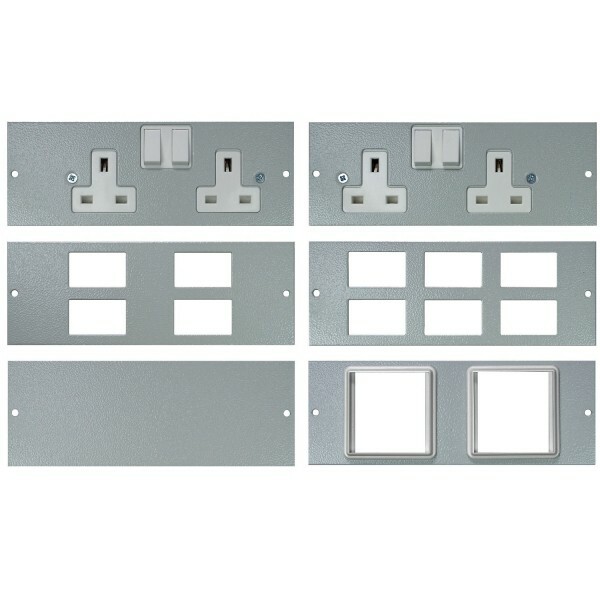 We also have a massive range of accessory plates for ever floor box.